Skylight Paths Publishing, 9781594731518, 154pp. Open your heart and mind and discover--through the sacred art of lovingkindness--the image and likeness of God in yourself and others. "The question at the heart of this book is this: Will you engage this moment with kindness or with cruelty, with love or with fear, with generosity or scarcity, with a joyous heart or an embittered one? This is your choice and no one can make it for you.... Heaven and hell are both inside of you. It is your choice that determines just where you reside." We are all born in the image of God, but living out the likeness of God is a choice. 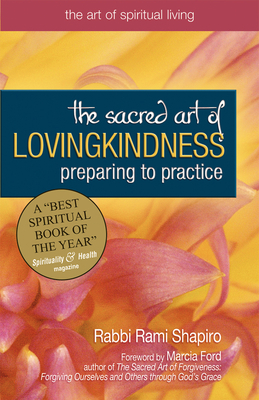 This inspiring, practical guidebook provides you with the tools you need to realize the divinity within yourself, recognize the divinity within others, and act on the obligation to manifest God's infinite compassion in your own life. With candor, wit, and honesty, Shapiro shows you that by choosing to act out of love rather than fear, with kindness rather than anger, you can transform how you perceive the world and ultimately lead a more complete spiritual life.